Great for loud work settings, concerts, etc. 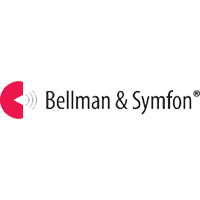 The Bellman Audio Ear Plug (ER-20) was developed to protect the ear from high levels of sound. Using it is like turning down the volume; the sound gets weaker without distortion. It's great for those who need to communicate in a noisy work environment (e.g. teachers, airport crew or factory workers) or during leisure time (e.g. musicians, motor sport spectators or being in noisy bars & clubs). ER-20 offers good sound quality and high comfort thanks to its smart design: The stem, with its unique acoustic resistor, combined with the end cap, contributes to a well tuned acoustic circuit. The result is an average attenuation of 20dB over all frequencies. The ear tip, which fits almost all sizes, is made of soft silicone to guarantee high comfort. Available in red, blue or clear color.